Last edited by jmhallah on Fri Feb 10, 2017 2:35 am, edited 1 time in total. jmhallah wrote: Just got WL-Rejected a few days ago. I'm a reverse splitter. Good luck everyone! crap, same here.. with nearly identical numbers. Are you instate or out? Not a word on this end. Also I'm curious if they updated your status page online. I feel thankful to still be in consideration, but I really need to know soon! I seriously still think about this everyday. I'm also a reverse splitter, and no letter yet. No online status change. In-state. aPosseAdEsse wrote: I feel thankful to still be in consideration, but I really need to know soon! I seriously still think about this everyday. I'm also a reverse splitter, and no letter yet. No online status change. In-state. I signed a lease, and half expected to get a phone call from UW the following day. Haha oh well, I would still consider UW despite the likely loss of a significant security deposit. aPosseAdEsse wrote: I signed a lease, and half expected to get a phone call from UW the following day. Haha oh well, I would still consider UW despite the likely loss of a significant security deposit. An apartment in the NYC metro. I wish I didn't have to do it, but I would definetely still consider writing off my deposits in order to attend UW. Do you have a contingency plan as well? Has everyone else put a seat deposit down a different law school? I didn't and am anxious to hear what UW has to say. Yep, I'll be making a cross-country trek and living a couple hours from NYC if things with UW fall through. So to the other poster.. yes, I've deposited elsewhere. I am so sick of waiting. Emphasis on sick. HG0506 wrote: I am so sick of waiting. Emphasis on sick. Ditto. I wish they had a second (or higher) deposit to weed out those that are just place-holding. I will be withdrawing during the first week of August if I don't hear by then. Anyone else pick cut-off dates? I honestly don't plan on withdrawing. Of course, by the time August rolls around the chances are basically nil but it's not really hurting me to write a note every two or three weeks and stay on the waitlist. I just got an email from admissions that they are finalizing their decisions in the "next three weeks." We should be hearing soon. They gave their email address for withdrawing or for expressing continued interest. FYI all who are still waiting. I'm waiting. It actually said in the next "few weeks" unless you got a different letter than me. Any other updates that people have? Also, out of curiosity does everyone have a fallback school? Or will you be re-applying next year if you don't make it off the wait list? 4llin wrote: It actually said in the next "few weeks" unless you got a different letter than me. Same here - "next few weeks" not three. I called and the person I spoke to said there are still 51 people on the WL - more than I was expecting given what I was told the last time I called. I have a fallback I'll attend if not admitted.. don't wanna waste a year just hoping to make it next cycle. Besides, I was offered a half tuition scholarship there, so I'll be saving money in the long haul. Haven't ruled out trying to transfer though. The view today. Not computer enhanced (or at least I don't think so). 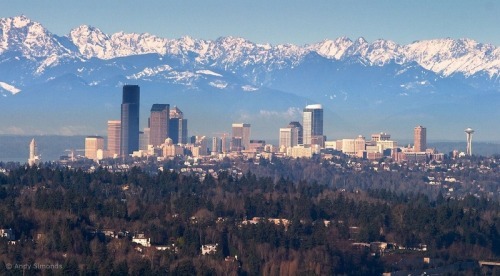 you would think seattle sits at the base of a range of mountains all of which are the size of mount everest! Nope. That's legit, just a well framed photo. Columbia Center and all the Seattle buildings are pretty small and low so this must have been taken from elevation and with a high powered zoom lense. My guess is a Bellevue highrise. This thread has been dead for a while (probably since it's more or less a lost cause at this point). However, as an update for anyone still interested I called the admissions office a few days ago and I was informed that they are down to 43 people on their wait-list. I withdrew shortly thereafter as I have finalized plans elsewhere. Best of luck to you all if you plan on waiting it out the rest of the way. I have not heard anything from them since my waitlist letter at the end of March. 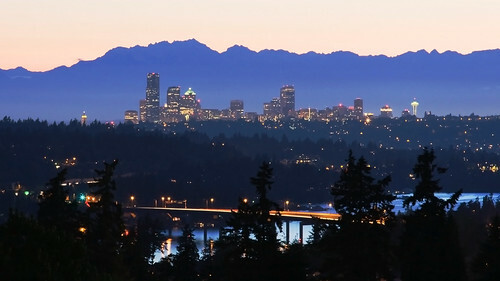 If I don't hear back in the next couple weeks I will start at Seattle U.